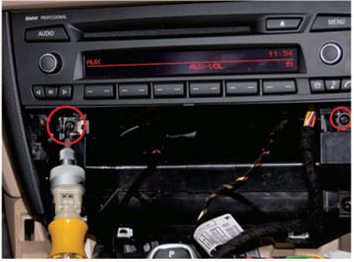 When you are going to upgrade your factory radio, then you may need a detailed installation guide. If you are a car owner of a BMW X1 E84, you can look at the following picture which is a 2009-2013 BMW X1 E84 head unit after installation from Seicane. With the same dashboard, you can take this installation instruction as a reference. 1.Disconnect the decorated board on the right side, get out the air-conditioner outlet. 2.Detach the cables carefully after removing the air-conditioner outlet, then disassemble the storage locker above the air-conditioner outlet, please remember the two screws should be unscrewed before removing the storage locker. 3.Tear down the decorative frame from the right side, put it aside after done. 4.Pry the control panel of the air-conditioner. 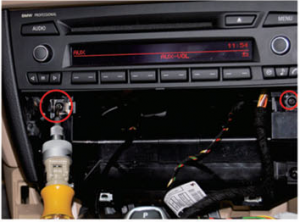 5.Unscrew the fixed screws marked in the following photo, then pull out the original car’s CD player. 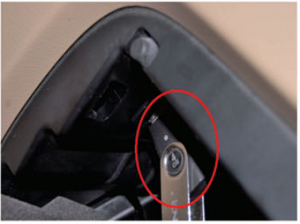 6.Disconnect the decorative materials of the gear stick, lever the plastic cover under the gear stick, and prize it from the left side, then remove in order to install the knob box when wiring is needed. 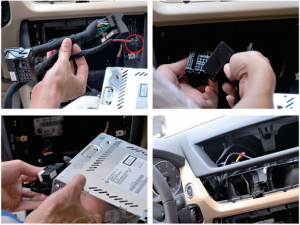 7.Pull out the wire harness on the original car’s CD player, the female plug on the power cable we supply is connected with the male plug, the male one should be connected with the original car’s CD player. The small 2pin plug on the power cable will be connected with a small speaker reasonably. 8.USB installation and wire routing: remove the USB cable from the between on the right side. 9.Make the Seicane power cable’s plug connected with the machine’s plug. 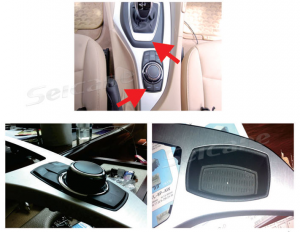 10.Install the machine with the screws, remount the original car’s CD player and the air-conditioner panel, new Seicane unit is done as the following. 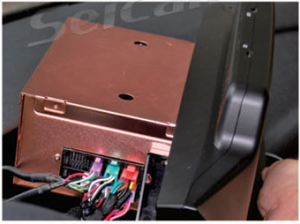 10.Install the machine with the screws, remount the original car’s CD player and the air-conditioner panel, new Seicane unit is done as the above. This BMW X1 E84 head unit is upgraded to a WINCE 6.0 CORE operation system to smooth the operation. Turn on the GPS function, you won’t have any trouble in finding your way with the most accurate guidance. You are allow to play any DVD disk to keep your passengers excited all the way with this region-free DVD player. The Bluetooth technology is built for you to have hands-free calls and stream music. Go on all trips with this intelligent BMW X1 E84 head unit and have a wonderful time with it all the way. Good luck to you! 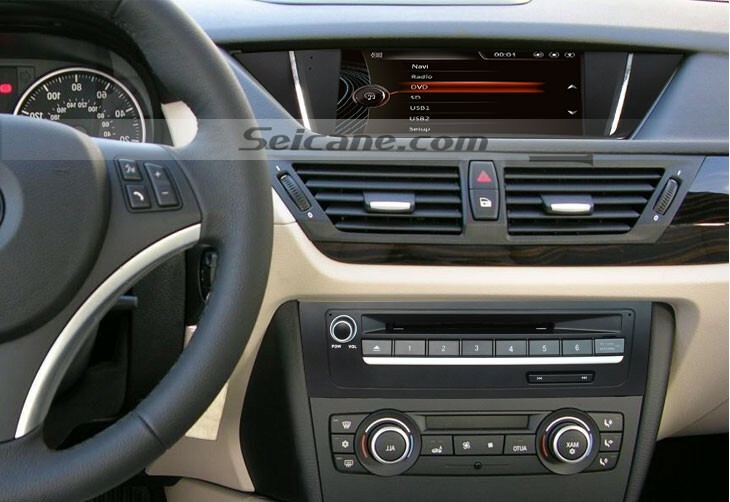 This entry was posted in BMW car stereo and tagged BMW X1 E84 head unit. Bookmark the permalink.